Is it time to sell your rental property, but you’re not sure how to deal with the current tenants? If you’re a landlord, selling a Loft that is currently occupied is not as straightforward as a traditional sale. It’s important to know what a tenant’s rights are, and how best to handle the transition. Here’s a rundown of what you need to consider. If your tenant is on a month-to-month lease, check state law to determine how much notice you need to give them to vacate. Typically it is 30 to 60 days. Next, send a letter to your tenant advising them of your intent to sell and the date their lease will end. 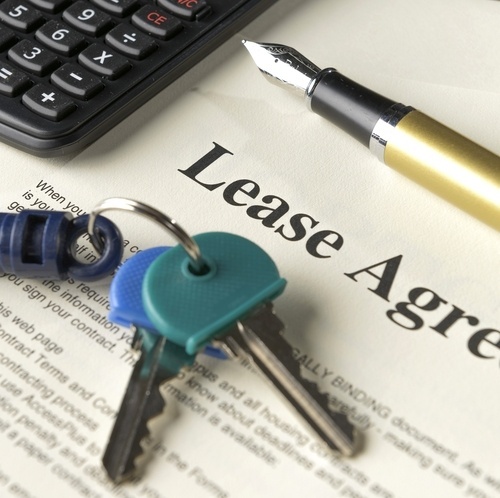 Conversely, if your tenant signed a fixed-term lease, you are obligated to let them live out the term of the lease. The lease can only be terminated early if it is stipulated in writing, or if the tenant has violated any terms of the lease. If you have a difficult tenant, it may not be in your best interest to show the property while it is still occupied. An unhappy tenant likely won’t do you any favors, least of all getting the Loft clean and ready for a showing. If your Loft doesn’t look its best to potential buyers, it could impact the number and quality of the offers you receive. On the other hand, if you have an agreeable tenant, you may be able to work out a situation where you can show the property while it’s occupied. It’s easier for potential buyers to imagine themselves living in a Loft that is occupied, as opposed to one that is vacant. Be aware that you need to give proper notice to your tenant before you, an agent or potential buyers stop by. This is typically at least 24 hours. If you’re interested in selling your property before your tenant vacates, you might consider selling to an investor. In most cases, investors will be thrilled to know that the unit is already rented. The new owner is obligated to honor the current tenant’s lease, so you won’t have to worry you’re kicking anyone to the curb. If your tenant is quite happy living in the Loft, it’s possible that they would be interested in buying it. This can be a win-win situation for everyone. But what happens if your tenant doesn’t qualify for a mortgage? In that instance, you could offer seller financing, where the new owner makes payments to you instead of the bank. If you find yourself in a position where your hands are tied, you do have other options. First, you can offer a discount on rent to get your tenant to cooperate about showings. A little break on their monthly expenses might encourage them to be amenable to interruptions and to keep the Loft clean. Second, you can offer to pay your current tenant to leave by essentially buying them out of their lease. You can also offer to pay their moving costs and security deposit at their next place.